This breathtaking diamond ring is nothing short of spectacular. We are pleased to offer it in either white or yellow 18 gold. 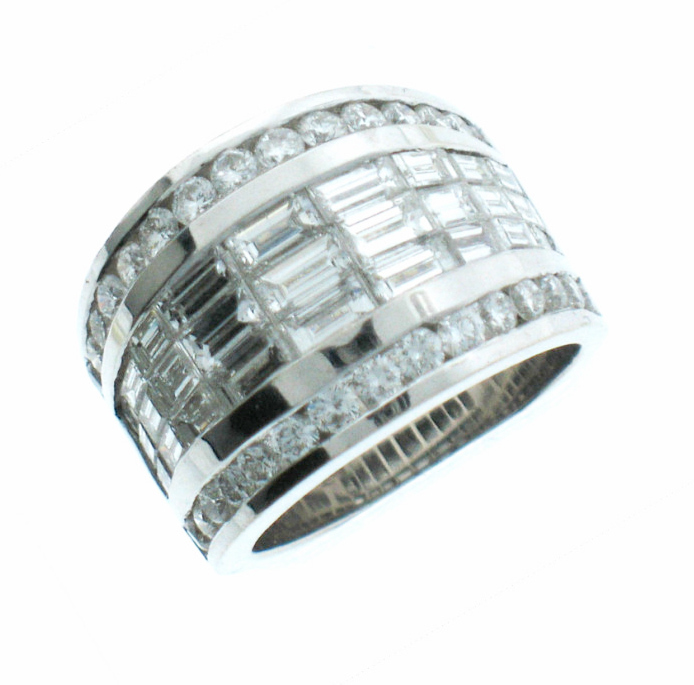 The 5.00ctw ring features baguette and round shape diamonds.